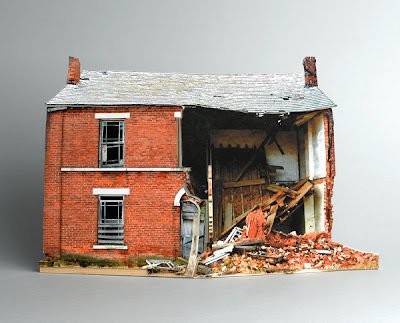 Dioramas and Clever Things: Can you beleive these beautifully delapidated buildings are made out from paper? 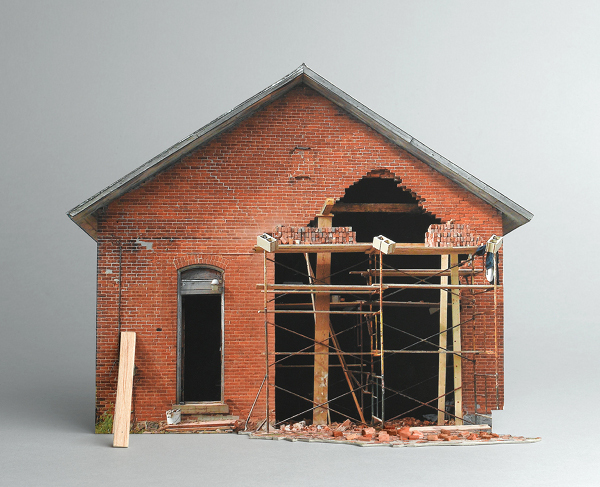 Can you beleive these beautifully delapidated buildings are made out from paper? 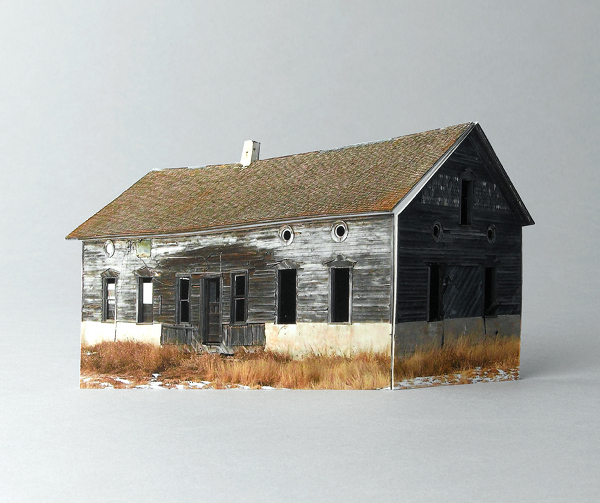 Artist Ofra Lapid digs through the online photographs of an amateur photographer from North Dakota who obsessively documents abandoned structures that have been destroyed by Mother Nature. 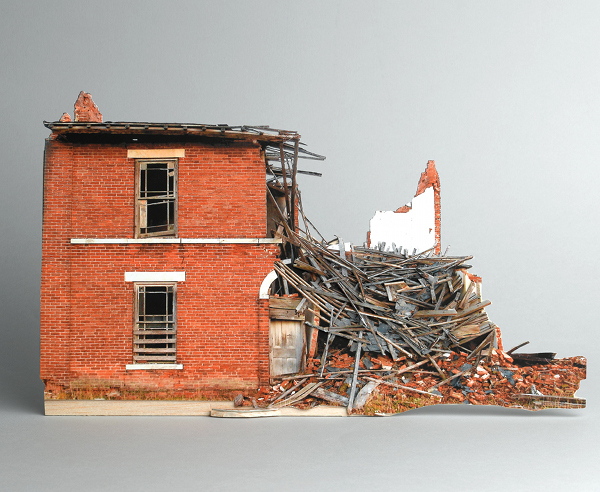 The images of these dilapidated houses — some completely crushed, while others appear to be slowly crumbling — are used as a reference point for Lapid to create small-scale models. 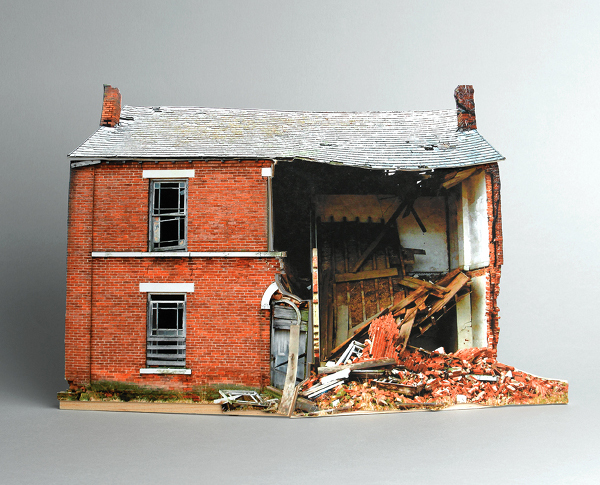 After constructing the houses out of paper and tiny wooden “beams” to keep areas of the newly invented structure upright, she then photographs them again in front of a gray background. The sculptures are all sized around 12 x 14 inches. 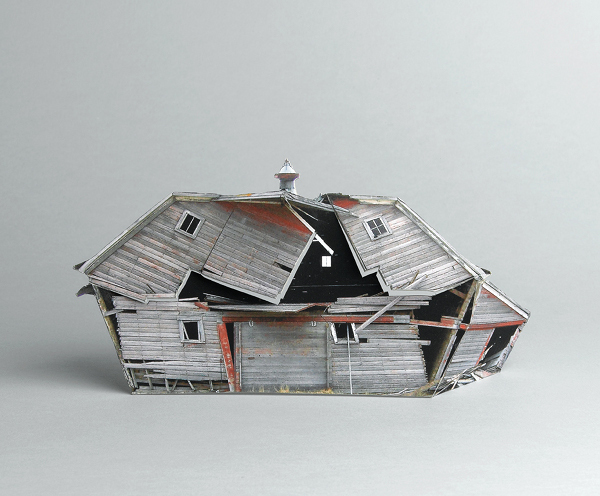 In several cases, the houses appear to be plucked straight out of their origins and transported to a photography studio. 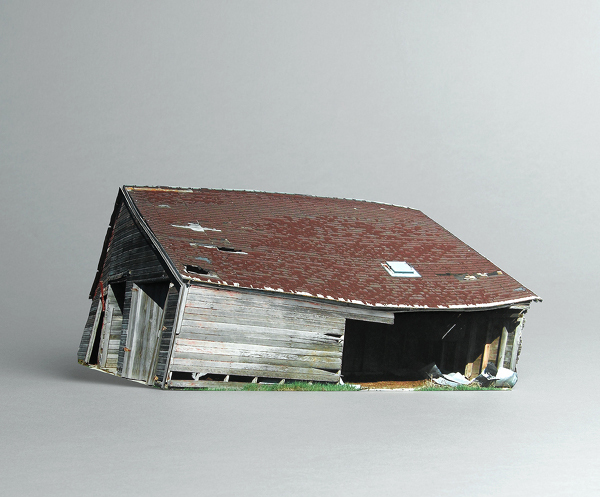 Click through for a peek at Lapid’s photorealistic sculptures of tiny, decaying houses. Hi Tom, it's Ryan. I miss the West Village and running into you. I love these houses. They are amazing!